Summer is just around the corner which means that you can now look forward to those long, endless days of driving on the open road. But is your car ready for the summer? Many factors can damage or play havoc with your car, such as extreme heat, busy stop/go traffic and dust. As well as ensuing the safe running and safety of your vehicle, the paintwork also has to be ready for hot temperatures. Below we share with you top tips on getting your car ready for summer. It is important that you have your air conditioning system fully serviced before the hot weather strikes. Your owner’s manual should give you specific instructions on how to do so. The last thing you want is for your engine to overheat, so ensure that your coolant system is regularly flushed, and that you check your coolant level before long journeys. Usually this will be 50 percent water and 50 percent antifreeze. Your oil filter and oil should be changed around every 3,000 miles. This is especially important if you make regular long trips, or tow heavy machinery, or a trailer. It is vital that your windscreen wipers are working properly, not only for visibility and safety reasons, but to avoid unnecessary eye strain and fatigue. You also need to check that your washer fluid is fully topped up. All bulbs and lights should be thoroughly checked for scratches, dents and cloudiness to ensure that they are working properly. If you have scratched headlights then ideally you need to get them professionally restored. Finally it is important that your car’s bodywork is ready for the summer months. 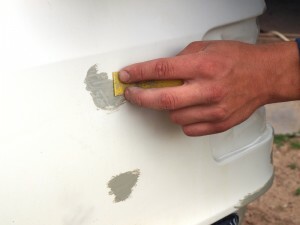 Any scratches will need to be professionally repaired by a car scratch repairs London company. As well as making the car look fantastic, it will also help to avoid rust from forming. For further information and to get an online quote, please contact us today.